The BBC recently ran some news items on improving productivity, which is based on the UK’s productivity figures which being released later today. Currently the UK is lagging considerably behind other countries standing at just 35th in the productivity league table. Also, the Office for National Statistics recentlypublished a blog on this very subject just recently, which highlighted the dip in the UK growth compared to other countries. One of the interviews on BBC Breakfast this morning, headed the ‘Productivity Puzzle’, was with Alsion Beard-Gunter, CI Manager at Accolade Wines. We currently have a case study on CI work carried out at their plant in Bristol, and Alison highlighted the importance of using robots to do low level tasks, whilst optimising the cognitive efforts of the teams to improve productivity and always keeping the customer in mind. A recent blog we published looked at the very serious problem of produtivity in the UK, and highlighted several ways that organisations can raise to the productivity challenge, and therefore bridge the gap. 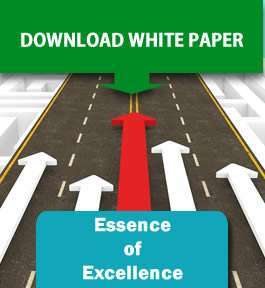 A free download called Essence of Excellence highlights some of our finding in this area, and is a perfect introduction into how to start to address productivity issues in your organisation. Just click on the download link provided.